President Donald Trump’s former personal lawyer Michael Cohen recently changed his voter registration from Republican to Democrat and is encouraging people to turn out to vote in the midterms. “Grab your family, grab your friends, grab your neighbours, and get to the poll, because if not, you are going to have another two or another six years of this craziness,” Cohen told CNN in a Friday interview. Cohen, who pleaded guilty to eight federal charges in August, is also providing assistance to state and federal prosecutors investigating the Trump Organisation and the Trump campaign in New York and in DC. President Donald Trump’s former personal lawyer Michael Cohen is stepping up his efforts to use his newfound platform to encourage people to vote in the November midterm elections shortly after changing his voter registration from Republican to Democrat. Cohen pleaded guilty to eight charges of bank fraud, tax fraud, and federal campaign finance violations in the Southern District of New York in August, stating at the time of his plea that he committed the campaign finance offenses “at the direction” of Trump. Cohen told CNN that he actually had been registered to vote as a Democrat for most of his adult life, and he only switched to Republican at the request of the Republican National Committee, on which he briefly served as finance chair from April 2017 to June of this year. On Tuesday, CNN reported that Cohen was also willing to publicly campaign for Democratic candidates, citing a Democratic Party source. 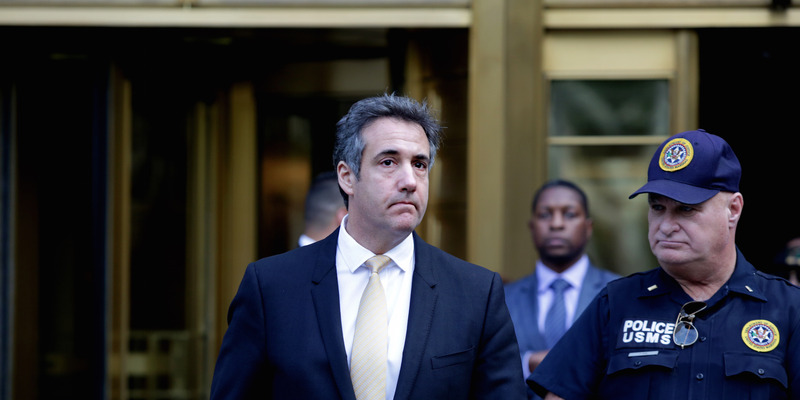 In addition to taking on Trump and the Republicans at the ballot box, Cohen is providing substantial assistance to a number of authorities investigating alleged crimes by the Trump Organisation and the Trump campaign, even though his August guilty plea had no formal cooperation agreement. CNN reported on Wednesday that Cohen and his attorney had met with federal and state prosecutors investigating the Trump Organisation for possible tax fraud and campaign finance violations in New York. Vanity Fair also reported on Monday that Cohen sat for a combined 50 hours of meetings with both prosecutors in New York and with the office of special counsel Robert Mueller, who is probing Russian interference in the 2016 election, and whether the Trump campaign illegally collaborated with Moscow to tilt the race in Trump’s favour.